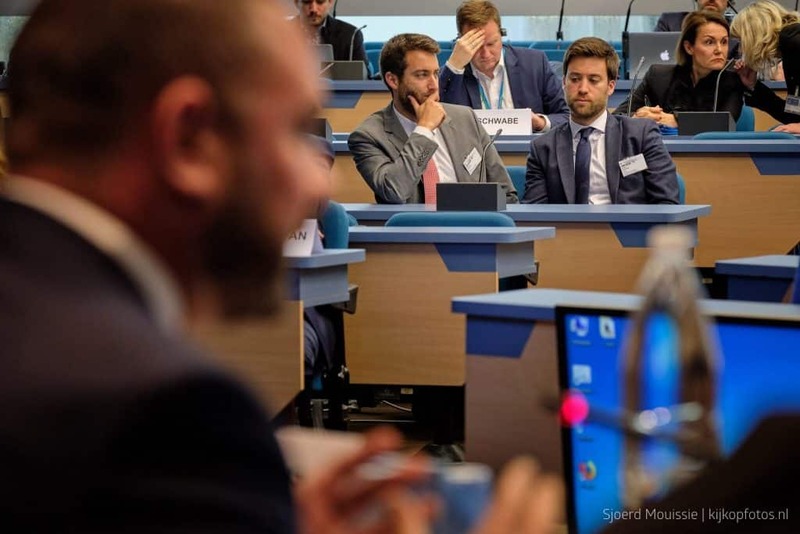 Dutch daily Nederlands Dagblad spoke to Matthew and Andrew Caruana Galizia in Strasbourg on the sidelines of the Council of Europe meeting where they sat in front of Owen Bonnici who avoided looking at them like Lot feared to look back at Sodom. “Matthew and Andrew call the hearing ‘frustrating.’ Upon arrival, the brothers and the minister completely ignored each other. “Everyone knows he hated our mother,” says Andrew. “He is relieved that she is no longer there to sit on his skin. The fact that he needs to revise the Constitution is a major problem. The newspaper report and the photo are by Sjoerd Mouissie.